If you're like us then you believe in buying quality clothing that lasts and still looks good at the same time. In fact we believe in providing you with a quality product so much that you have our 100% guarantee that you will receive a quality product or we will give you your money back. It will also give you peace of mind to know that your children's school blazers are all made by a manufacturer totally committed to quality, no shortcuts anywhere. That's right, you won't find any dodgy sweat shop school blazers at Academic School Blazers. You see, at Academic School Blazers we specialize in blazers, through our years of experience we've chosen the right fabric and dyes to prevent the common problems of fading, delamination and worn elbows. The simple fact is, we've made over 4500 blazers in the last few years and we've only ever had two returned for minor repairs (and hey, that was because of some playfield antics). 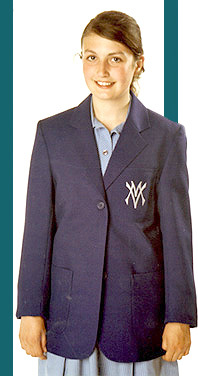 So whether you're in Auckland, Hamilton, Wellington, Nelson, Christchurch, Invercargill or anywhere else in New Zealand, Academic School Blazers is here to help you and your school with all your school blazer and uniform requirements. For immediate assistance call Brent on 03 365 5744 because I'd love to help you out. Or if you prefer you can email at uniforms@stylerite.co.nz.